Washington: A popular energy drink 5-Hour Energy, produced by a company founded by an Indian- American billionaire, has come under the investigation in US after death of 13 people possibly linked to the energy drink. The US Food and Drug Administration is investigating 13 deaths that may be caused due to consumption of an energy drink called 5-Hour Energy. FDA spokeswoman Shelly Burgess told AFP on Thursday that “FDA is continuing to investigate reports of illness, injury or death of people who took products marketed under the label 5-Hour Energy”. She also said that, there have been a total of 92 patient reports, including 33 hospitalizations and 13 deaths. She emphasized that “the existence of an adverse event report does not necessarily mean that the product identified in the report actually caused the adverse event”. The New York Times said since 2009. 5-Hour Energy has been mentioned in about 90 complaints filed with the FDA, including more than 30 that involved serious or life- threatening injuries like heart attacks, convulsions and even a spontaneous abortion. This is the second investigation the FDA has launched in the last two months against harmful effects from energy drink.The FDA warns that energy drinks- rich in stimulants such as caffeine- cannot be a substitute for rest or sleep and advises people to consult a doctor before consuming them, to ensure the product will not aggravate any undiagnosed medical problem. 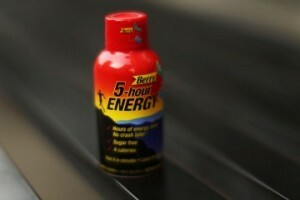 CEO of 5-Hour Energy, Manoj Bhargava strongly denies the allegations, saying that caffeine in his energy drink cannot be linked to serious health problems since certain popular coffee brands have higher caffeine content than is present in 5-Hour Energy. “IT is a ridiculous claim,” Bhargava told Fox News responding to the USFDA investigation linking the deaths to his drink. He said people are trying to make money by filing such claims and sentimentalization by the media is unwarranted. He also said that “Caffeine is good thing. The only things that we get about caffeine is from reporters, who really have no clue what caffeine does,”. The FDA however said that complaints by the consumers and doctors do not necessarily mean that the drink is responsible for the deaths or injuries but the agency will investigate each case.